CCTV footage released of a ‘pickpocket’ returning a wallet after stealing it has gone viral. 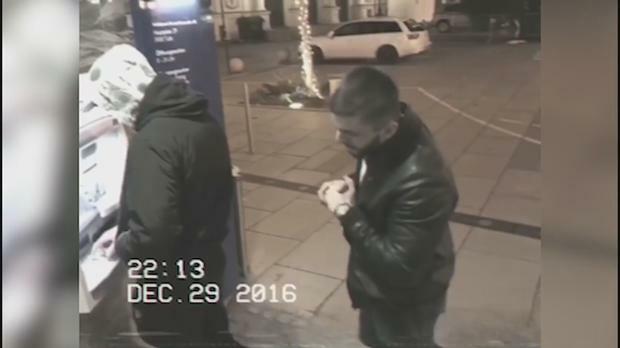 In the video, a man can be seen queuing behind another man at an ATM machine and taking his wallet. The ‘pickpocket’ then looks around and spots a CCTV camera, which makes him have a change of heart. He stares directly at a security camera before deciding to throw the stolen wallet on the floor. While continuing to apologise to the CCTV, he taps his victim on the shoulder to suggest he has dropped it. The grateful man shakes his hand and thanks him. All may not be as it seems, however, as footage of the incident was posted by YouTube star and known prankster Halid Arsajev on Facebook.